VIP Cancun receives low rates with limo companies because we negotiate in advance. Like everything else we provide the highest level of service that you can desire as well as some of the craziest "nightclub on wheels" and "party bus" limos you have ever seen. We arrange pick-up and drop-off, for you at the times that best fits your needs. 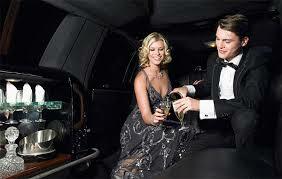 We have many types of limos available and can find one that sets the perfect tone and environment for your night. Don't underestimate the significance of starting the evening as a true VIP with our limo service to the club. The night starts when you are picked you at your hotel by your VIP host driver and personal limo stocked with your favorite bottles and mixers. From there we will take you on a tour of the Cancun strip & stopping at the Cancun Sign (before sunrise) and then on to the restaurant of your choice where we have setup your dinner reservation. After dinner you are off to the night club of your choice where we will walk you into the club VIP Style, past all of the lines - True VIP service!